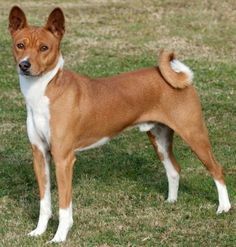 Basenji dogs have an awesome dog fact. 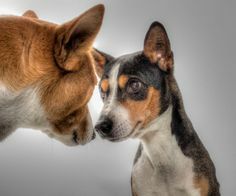 Did you know Basenji dogs are not from Switzerland? True, but they Sure Can Yodel like its nobody’s business! Here at NewDogtimes.com, we welcome a good “Yodeler” no matter where from! Bad dog yodelers too darn-it. This handsome Basenji, his name is “Tom” apparently hails from the Congo. That being noted; I wonder if it gives monkeys free or paid-for rides when there’s not enough vine to swing from? I hear traffic can be brutal during feeding hour. Basenji, “Tom” is my name. I say “Barking is for Non-Yodelers!” Period. NOTE: Hi READER! and thank you for taking a look. I know I don’t have ALL the Basenji Info you really want written on this page yet. This is going to be a huge post too. 39 different factoids – Imagine it. Also, I have to let you know I’m not trying to trick you into buying a book so I can make a measly $00.50. I SWEAR! However until I finish this post I wanted to offer you more information. You can actually read a lot of the Basenji Bio on this PREVIEW feature Amazon gives you for free. Simply click the preview button below and read it till your heart’s content. To all the Basenji Dog Lovers out there. 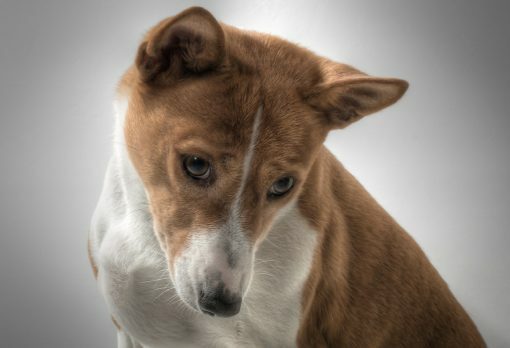 Thank you for coming buy today and please with no hesitation comment here, or add your Basenji photo right now. Enjoy! Awesome dog factoid #2 and Cow factoid (apparently) Check it: Did you know that when cows are roaming their pastures too far from home, that when it turns to “stand time” (aka- bedtime for you and me) all of the cows in a herd will at some point stop, feel the vibes, turn to and fro (similar to an old radio knob, with bad reception) in order to face north head first? Then it’s off to la la land until they awake again at the rooster’s crowing. It’s odd to experience especially whence you drive in farmland and see this repeatedly across the county. Eery-Stuff. Turns out, they turn for lights out so when they wake up, they will know which way home is. – See? Awesome Cow Fact. This is a similar in fashion to which dogs prefer to poop. They circle and circle, round and round until WAIT, nope, once more – and – yep, got it – the “northern vibe” I’m now facing it. “It’s time to let it rip” and Voila’ plop goes the feces. Trouble is though, when they are under those big cross country wires that go for miles and miles between skyscraping metal towers. They just can’t seem to find their “inner-compass” Could you imagine the wretched nightmares those cows must have facing south? New Puppy Love begins From the Car Ride Home. Its exciting and perhaps a bit scary when we first get our new puppies. Exciting because of the 1000’s of new puppy things you are about to experience from day one, and for years to come, yet kind of scary in a sense that we want our new puppies to have the best possible experience when being introduced to their new home, family, surroundings, rules and all that good new puppy stuff that comes with finally getting to bring home for good, and love your new puppy. Your new puppy will be missing his littermates and mother, so don’t be surprised if you hear some whining and whimpering. Your job is to provide support and comfort but do not over coddle him by running to his side at every little whimper. This separation anxiety will most likely be more prevalent during nighttime so keep your puppy close by where you sleep, either next to your bed or at your opened doorway. Relentless pining can be a sign of more serious “Separation Anxiety” and should be given quick attention to lessen the symptoms and solve the problem. Day by day your pup will adjust to the new surroundings and start to understand that he is loved and cared for by his new family and then the separation anxiety will begin to decrease. When he understands that all of his needs are taken care of it will form a human-puppy bond that automatically installs you as the alpha leader and makes him feel secure and relaxed. Begin crate training so that he has a safe place to relax and for you to place him when necessary. RULE ONE – your puppy should love his crate so never use it as punishment. If you have to give a time-out, choose a dull place like a pantry or bathroom. The crate also aids in house-training because dogs are naturally clean and will do everything not to soil their own den/crate. The first few days you will be busy making regular trips outside for elimination breaks, socializing him to his new surroundings, creatures, teaching name recognition, beginning crate training, adoring him and keeping him nearby so that you can avoid indoor accidents of all types. Don’t forget to supply ample chew-toys that are sized appropriately. Before leaving to pick up your new canine, there are a few preparations to be completed. Choose the spot for his pen and prepare it by placing a tarp down over your carpet and then covering the area with newspapers and possibly puppy pads. In one corner place his crate, and add something comfortable such as a soft blanket or bed inside and something comfortable outside for him to lay, natural rubber chew-toys bigger than he can swallow, and finally a water bowl. If you have an easily cleanable tile area then you might not need a tarp. The first thing you should do upon arriving home is to clip the leash to your puppy’s collar and carry your puppy from your car to the backyard and then set him down to poop/pee in the area you predestined. From this time forward, this area of the yard is where he should always be brought for defecation and urination. After he is done, give him a good boy when he begins his waste elimination, and then remain silent while he does his thing, offer a moment to smell the grass, and then pick him up and take him inside. The best and fastest way to house-train your new puppy is to take him to his designated potty spot every forty-five to sixty minutes and see if he needs to relieve himself. If he doesn’t after a couple of minutes, return inside and then repeat about 10 minutes later. Avoiding indoor accidents is the goal. In a few days, you will begin to understand your puppies bladder limits. The times to bring your puppy outside for urination or defecation are after playing, feedings, naps, first thing in the morning, or after he drinking a lot of water. If you can, take him once in the night when you hear him whining. Puppies can usually hold their bladders for about 4-5 hours during sleep. Dogs do not like to soil their own area and only as a last resort will they soil their crate or bedding. Lastly, keep your puppy in sight at all times, even tether him to your belt loop by using his leash or a longer cord. 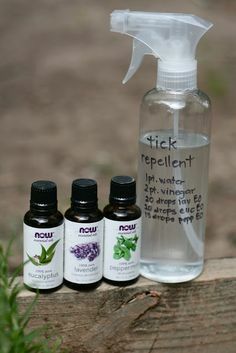 This helps you notice if he is showing signs of needing to eliminate and allows you quickly to whisk him outdoors. This also aids you in observing that he is not chewing on anything other than his natural rubber chew-toys or creating other mischief. Puppies want to put anything and everything into their mouths, and this is amplified during teething periods when the desire to chew is increased. Sometime between 3-8 weeks, their first teeth erupt, and then later around 4-6 months their adult teeth will begin to replace their puppy teeth. If during this period you notice that your puppy is having difficulty eating, add some water to soften their dry food. This is better than a sudden change in food that might upset your puppies system. Keep it simple. As a rule, your puppy should always have three or four safe toys lying around to play and chew, and they always have a favorite that you should continually keep available. Establish early that the only thing your puppy can chew is his toys and that all human items are off limits. Rotate their toys so they seem fresh to them. Your new puppy comes armed with some protection from diseases and germs that was provided by their mother’s milk; however, you will need to have your puppy vaccinated. You can silicate the schedule from your breeder or veterinarian. Vaccinations are a vital part of your puppy’s care and it will help prevent serious diseases. Vaccines can be core or non-core. Core vaccines are those that have been recommended by the AVMA to be given to all dogs. These include vaccinations for distemper, adenovirus-2, canine parvovirus-2, and rabies. Non-core vaccines include leptospirosis. Lyme disease and Bordetella are recommended for dogs in specific geographic locations. Your veterinarian will go over the non-core vaccines that are recommended for your puppy, and the vaccination schedule. Several boosters will be necessary over the course of the first year in order to provide ideal immunity for your puppy, but beware not to over vaccinate and only administer the minimum necessary. I recommend doing some research as well as discussing with your breeder. Almost all puppies have worms and need to have a deworming process performed. Roundworms, parasites, tapeworms, whipworms, and hookworms can cause anemia and weight loss that can be fatal. Heartworms can be spread by mosquitoes and live in a dog’s circulatory system, and the recommended treatment is when your puppy is aged around eight weeks. 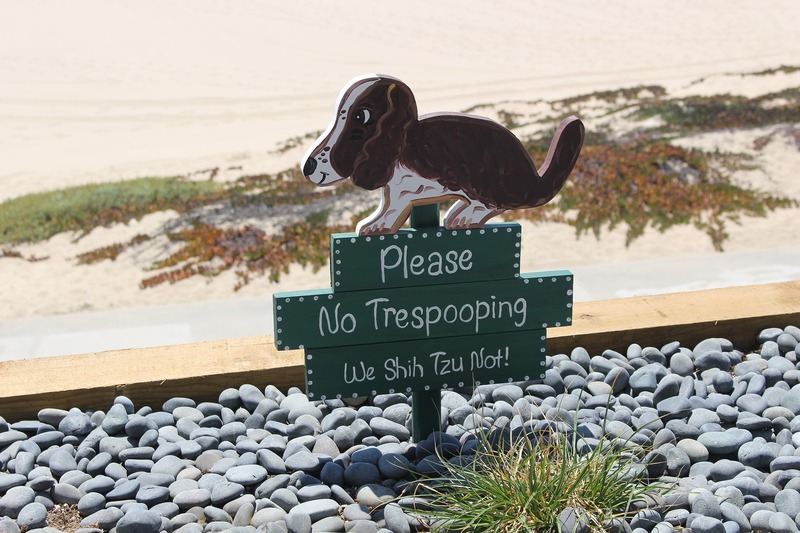 Keep your puppy away from strange dogs’ feces. Vaccinations help prevent diseases, especially the fatal diseases such as parvovirus and distemper. The following is an example of a dog’s vaccine schedule. You should verify with your veterinarian and ask for his or her recommendations, and try to avoid unnecessary vaccinations. then it is recommended that you have your dog spay or neutered, but it is neither law nor necessary for the health of your puppy. 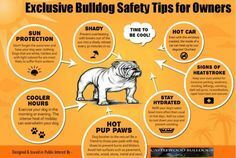 Benefits are keeping accidental procreation from occurring, limiting the nuisance of dogs in heat, and minimizing aggression in male dogs. These procedures can be done as early as eight weeks, but many veterinarians prefer to wait until four to six months of age. Spaying is recommended before the first occurrence of heat. 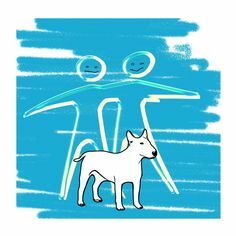 This overview should have provided you with enough information to realize there is much responsibility that comes with dog ownership, informed, and sparked your curiosity to read further on each of the topics mentioned. 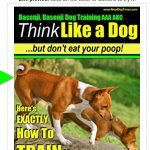 I know that if you are reading this guide that you are going to make a terrific puppy parent because you are interested in playing an active role in a puppy’s life. 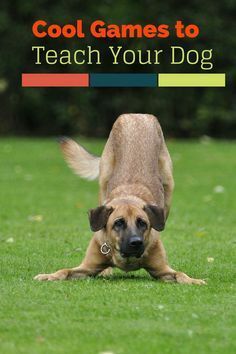 I want to thank you in advance for being proactive in informing yourself about dog ownership, the logical next step will be to read about dog training so that you are prepared to lead and train your puppy properly. Below is a comprehensive list with a brief synopsis of the fourteen crucial items that all puppies require. A full chapter is dedicated to each of these items. Everyone knows that all puppies require a collar and it is something that they need to begin adjusting to the first day. Since puppies will be rapidly growing throughout their first year, a lightweight, wide, adjustable, flat cotton, leather or nylon buckle collar is a good choice. Expect to purchase a half dozen or more collars as your puppy grows and you expand his training. Different types of collars are used for training, walking, conformation shows, competitions, and everyday uses, additionally they provide a place to attach a leash and identification. When placing a collar on your puppy, leave it loose enough so that you can place two fingers between the collar and the puppy’s neck. The collar should be snug, but tight enough that it will not slide over your puppy’s neck, and in a short time they will consider it normal always to be wearing a collar. Leashes are a necessity to dog ownership, and by law in some places, dogs must remain leashed when in public. Puppies are small, so select a lightweight leash that is about six feet (2 meters) in length. Begin indoors by gradually exposing your puppy to the leash being attached to his collar. This will prepare him for his first outdoor walk. Puppies adjust rather quickly to wearing collars and leashes, but sometimes they enjoy turning them into chew-toys, so remain observant and if necessary adjust their behavior so that the only thing that your puppy chews is his chew-toys. Chew-toys should be provided from day one so that they begin to understand those are the “only” thing that they should chew upon. The goal is that puppies enjoy their collar and leash. Your puppy should happily remain calm while you attach the collar and leash. He should not show fear or unpleasantness towards either. Leashes come in a variety of sizes, materials, and lengths. At six to eight weeks of age puppies do not require a lavish dog bed, a thick comfortable blanket will suffice. Whether on the floor or in the crate a comfortable blanket provides enough cushion and is easy to wash. Puppies spend a lot of time in their crates so choosing comfy easy to clean bedding is necessary. Soon after housetraining, they will require something plush. Dog owners will find a myriad of fabrics, stuffing, and styles that will accommodate any dog and if desired add a touch of style to your home. Eco conscious puppy owners will find sustainable fabrics and stuffing. Also available are odor control, pest control and removable/washable covers in many shapes and sizes. Beware that your puppy is not chewing on his bedding, and if the stuffing comes out, remove the bed and substitute a blanket until you have corrected the behavior and your puppy is no longer chewing on their bedding. If ingested your puppy could become ill from the stuffing. Your puppy will be spending a great deal of time in their crate so it is important that it is the correct size and of quality construction. Crates are made from many types of materials, such as plastic, steel and fiberglass, so finding the ideal crate for your home and travel should be an easy task. Puppies should be able to stand up, lie down and turn around in the crate but not much more. Puppies will need to be crate trained to recognize that their crate is their safe-haven and to relish the time spent in the safety of their crate. If you purchase a larger crate, you can then block the back section making it smaller to fit their size, and then enlarge it as your puppy grows. Add something soft and washable for them to sleep on. Thoroughly clean any messes that occur inside the crate. Try diligently to avoid crate accidents. Your puppy’s crate will be used for sleeping, resting, travel, house-training and containment when left unsupervised. The sooner your puppy is comfortable inside their crate, the better it will be for the two of you. Gates and Pens are extremely useful when a new puppy is in the house. They provide them more room than a crate but offer you peace of mind because you know that they cannot escape from the enclosure or blocked space. If kept in close proximity to you in the house, your puppy also feels connected to their new caretaker. Wire pens can be configured in many sizes and shapes, but wood pens are limited to their four sides and fixed wall sizes. Avoid accordion style gates and pens, because if they come loose they can harm your puppy. Gates allow you to section off a space such as a pantry or work area containing dangerous materials, and gates can keep your puppy in an area. Grooming dogs is something that must be performed regularly. All breeds have their individual requirements for brushing and bathing, but every breed needs their teeth brushed, ears cleaned, and nails trimmed on a regular basis. Dogs that don’t walk often on hard surfaces tend to need their nails trimmed more often. Active dogs walking and running on pavement, concrete, or climbing rocks naturally wear their nails down so they require less frequent trimming.